Helga Luest is the creator of TraumaInformed.org. She is a recognized trauma expert, keynote presenter, and trainer. She has particular knowledge and expertise in trauma informed approaches, behavioral health responses to trauma, vicarious trauma and compassion fatigue, post-traumatic stress disorder, combat stress, trauma specific to mass violence and school shootings, the healing process, criminal justice, victim services, and domestic violence and related litigation abuse. In the realm of domestic violence, Helga has been an outspoken advocate to protect the basic human and victim rights of children suffering from parental abuse, where cases are often not treated as criminal and are routed through social services and family court. She has worked at the federal and state levels to address the failures of family court to adequately recognize protective parents in abusive situations, and the litigation abuse that some former partners will use to cause added financial stress or to manipulate custody situations. 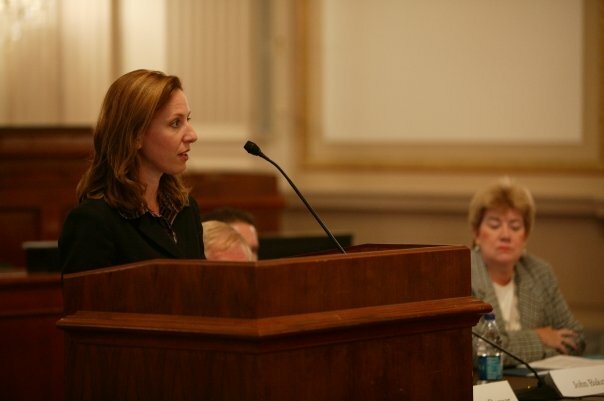 Helga Luest testifying at a Congressional briefing on veterans and family safety. Helga’s professional focus to facilitate positive social change stems largely from her own life experiences. She survived an attempted murder in 1993 and, more recently, domestic abuse. She currently works with a government contractor where she is managing editor of a federal publication and project director of a youth bullying prevention initiative. Helga founded Witness Justice, a national nonprofit that made a significant imprint for survivors of violence and trauma, and led these efforts from 2001 to 2014. Helga continues the vision and work of Witness Justice without the organizational structure, advocating for positive social change while providing strategic programs, trainings, and presentations. Most recently, Helga created Art 4 Social Change, a community-based social experiment and program aimed at building personal and community resilience through the creation of collaborative artworks. She regularly exhibits these pieces and facilitates conference and community discussions with current and past art advocacy projects, including the GlassBook Project. 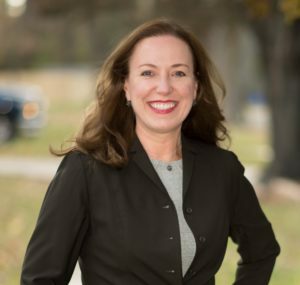 Helga is on the U.S. Congressional Victims’ Rights Caucus Advisory Board and served on the Maryland Governor’s Family Violence Council from 2016-2017. She currently serves on the Board of Directors for the Campaign for Trauma Informed Policy and Practice. Helga also formed the Montgomery County Climate Adaptation Workgroup in January 2019 to address climate related health issues in Maryland. Helga’s work has been recognized with numerous awards. In 2011, she received the distinguished U.S. Congressional Eva Murillo Unsung Hero Award for her innovation, efficacy, and advocacy. In 2017 she received the George Michaels Award for Outstanding Entrepreneurial Accomplishment in her work with Abt Associates. In her career, Helga has received other awards for exceptional advocacy and social marketing campaigns including four Telly Awards® for short educational videos which she produced, an IABC Award for best campaign, and a 2009 Silver Addy® Award for conference materials. She also has been honored with personal awards of achievement including the Volvo for Life Award and the Baltimore Raven’s Community Quarterback Award. Helga holds a BS in marketing from American University and an MA in international management from the University of Maryland University College. She also has completed federal project director training and has certification in private investigation and women’s self-defense. She received her certification in climate change and health from the Yale School of Public Health in 2019 and is a member of the Climate Reality Leadership Corps. Helga has completed 15 marathons and has teenage boy/girl twins that are the joy of her life.